Welcome back, dear reader. You join us for the second in this monthly series, where I will be increasingly tested in my attempt to prove the theory that every single James Bond film has had a lasting legacy, having a profound effect on both the rest of the series and cinema in general. This means, of course, that while others are keenly studying recurring motifs and themes, I’m only interested in the origins. At this point, we’re still in early Connery, so there’s plenty of meat on these bones yet – it’s when we get to later Moore that I’ll be completely bricking it. I promised The Incredible Suit I would lose the Bond Legacy picture I made last month as it was giving him unpleasant flashbacks to TRON. 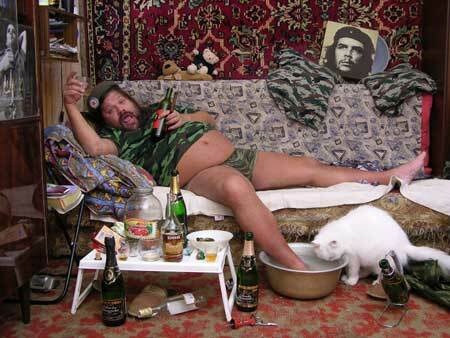 So I Googled "From Russia With Love" and found this instead. I'm sure you'll agree it's very fitting. From Russia With Love is a key film in many ways – a chance to improve on the formula, to refine what was good about the original but to take it to a new level. It got the chance to make it to the screen after JFK named it in his list of his ten favourite novels – one can only imagine that George W. Bush played with a lot of Transformers while at college if the modern standard of sequels is still based on presidential preference. 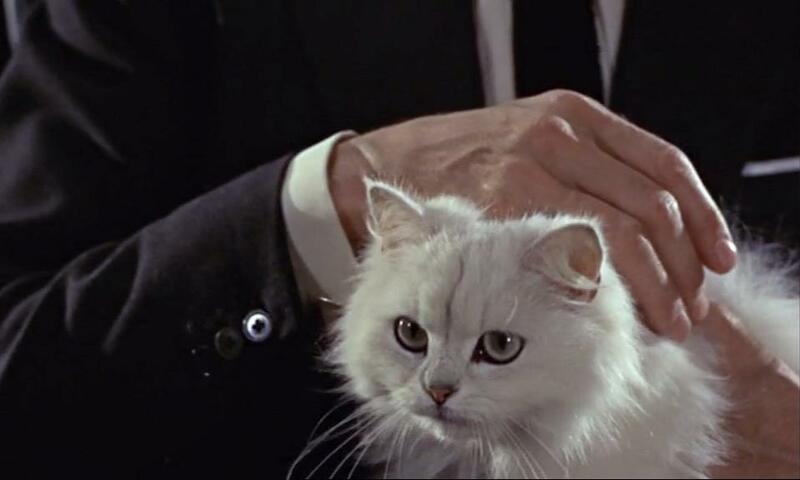 Dr. No had established many of the key Bond standards, but there was only part of a template in place at this point. Oddly, a few of the things that it had established go by the wayside here, including “Bond, James Bond,” which was actually in the book on which this was based. 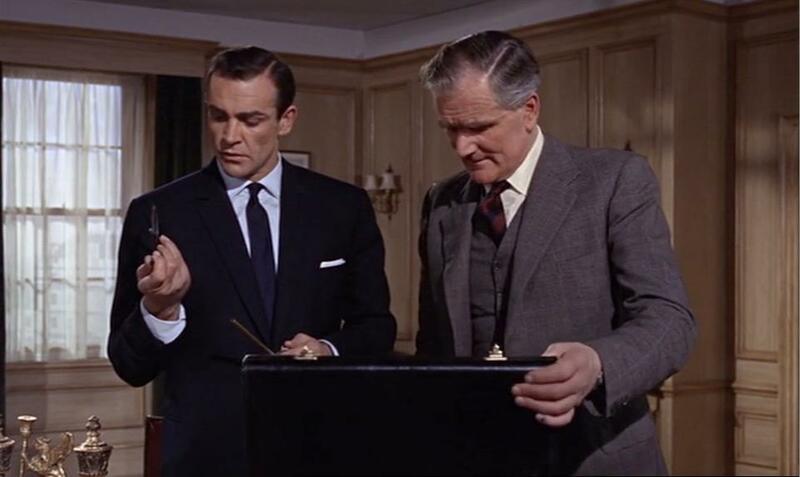 But this, almost more than any other Bond film, establishes the template by which the others work, and has earned its place as one of the most highly regarded films in the wholes series. I said last month that I would look for at least one legacy per film, but that I’d go a bit further for the first film and came up with five. This month I’ve skimped a little due to time pressures, and only came up with… ten. Stand still, love, I can't read the names! This is absolutely a template for almost every Bond film that’s come since. There are very few films where the names of the title designers are almost as well known as the on screen craftsmen, but the Bond series can normally claim this distinction. 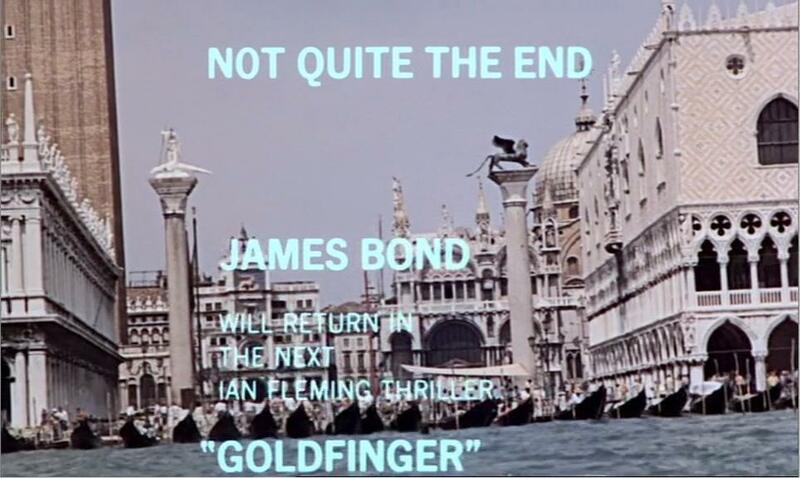 The name of Robert Brownjohn may not be as well known as some of the later names, but thanks to his work on this and Goldfinger, his work is probably some of the most iconic of the series. Replacing the sequence of coloured dots from Dr No with the titles projected on scantily clad women is the kind of genius moment that many people don’t even come up with once in a lifetime. Help! I'm trapped! Never mind SPECTRE, anyone got the number for the RSPCA? Wait a minute, this isn't Tool Academy! Of course, the hows, whys and wherefores of SPECTRE’s massive independent finances and specific recruitment policy aren’t entered into in the course of the films themselves, so we can only speculate on where the means to pay for a giant island, on which men can practice killing other men and shoot off giant flame-throwers for fun. Still, if I ever see that job advert, you can be sure that my CV is being kept up to date on the off chance. Sean finally got it on take 86, but by then Bernard had missed lunch. He was not happy. 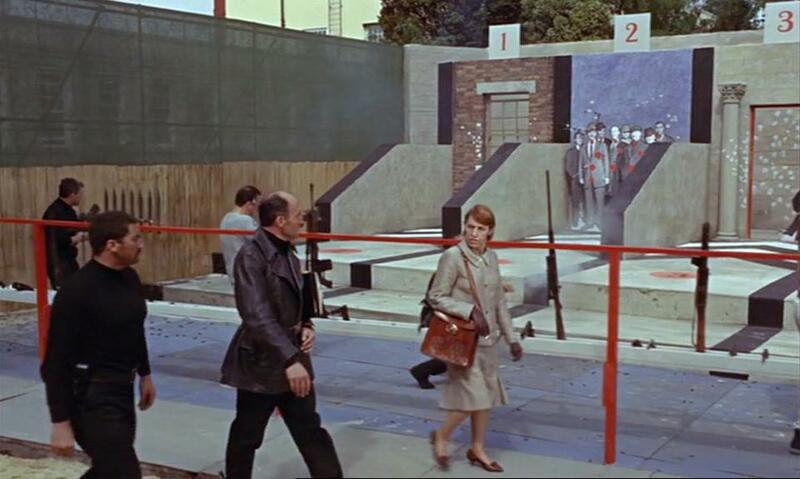 Terence Young actually had another character do the same thing in The Red Beret ten years earlier. But some things only become iconic when Bond does them. 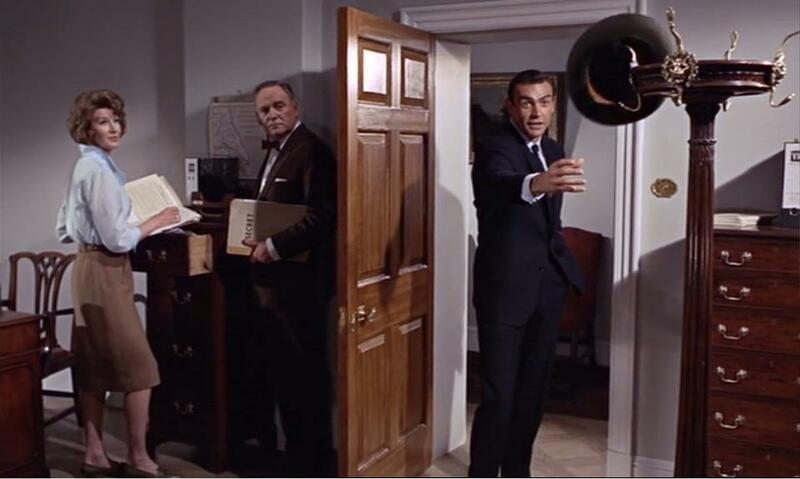 It is possibly the weirdest recurring gesture of all the Bond motifs, but if you tell me you haven’t tried it with a hat when confronted with a hat-stand at least once, then quite frankly I shall refuse to believe you. There are so many great contributions to the series from this film, but possibly the most endearing is Major Geoffrey Boothroyd of Q branch. I can now confess from the safety of middle age that I would have happily been Q as much as I would have been Bond when growing up. All those wonderful toys? Fantastic. He doesn’t get the lines or the pure disdain for Bond here, but this is where the legacy of Q is first laid down. "Istanbul was Constantinople, now it's Istanbul not Constantinople..."
It was very rare for films of this time not to shoot everything with back projection. If you’re not sure what I mean, imagine that you’re watching the characters acting in front of a film, because that’s exactly what you are watching. 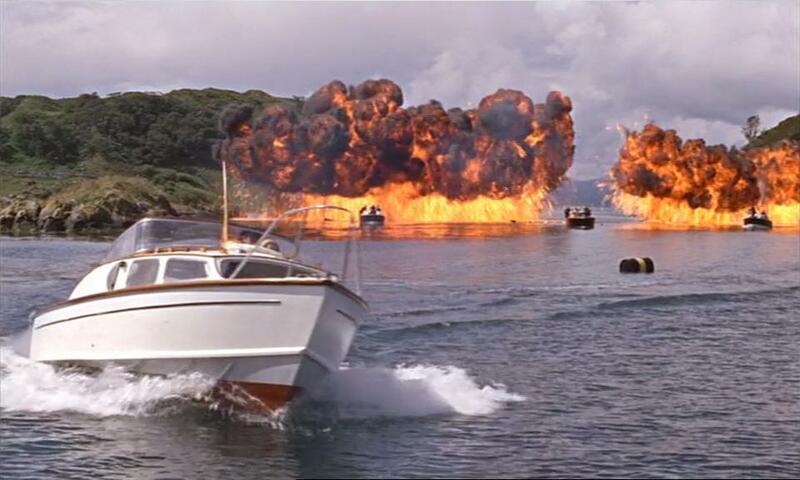 Normally consigned these days to car driving in TV sitcoms, it was the staple of films at the time, so to see Bond actually interacting with his scenery was something of a welcome novelty and gave an air of quality to proceedings – an air that’s not always been apparent in the more recent end of the series. 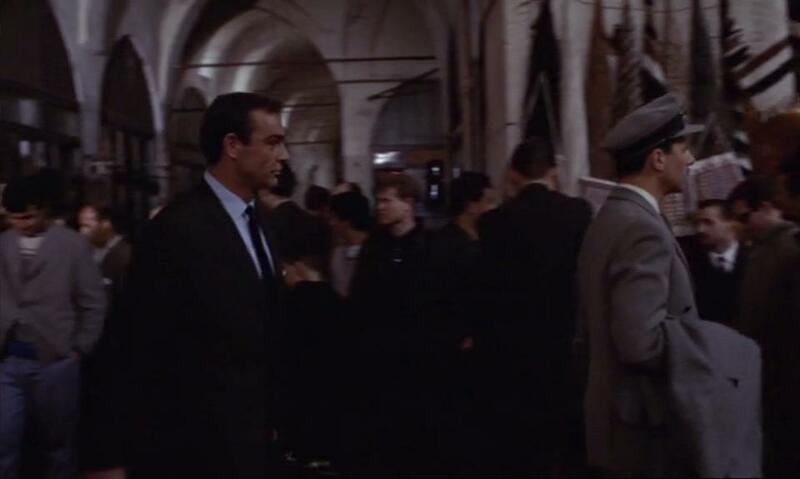 (*cough* Die Another Day *cough*) This is also the first Bond to do a bit of actual trotting, getting from Istanbul to Venice during the course of the story, plus a few other stop-offs along the way. No, really sorry, it's gone again - what was my line? Daniela Bianchi has many good qualities – acting is not actually one of them, sadly. Another template for later Bond films that we could maybe have done without, and probably the weakest link in this entry in the franchise. Bianchi’s second most famous role was opposite Sean Connery’s brother, Neil, who played… er, Dr Neil Connery in the pastiche OK Connery, which should tell you all you need to know about the former Miss World. She was also dubbed over, a continuing legacy from the earlier film which carried on throughout the Sixties. It’s amazing someone didn’t try to overdub Sir Shean’s Schcottish acchent at shome point. You were only supposed to blow the... oh sorry, wrong film. There’s a whole stack of action in the movie, a lot more than Dr No, and to go with the incredible fight sequence on the train we have a last fifteen minutes that features an incredible helicopter chase, which Connery and Young both almost got killed while filming, then a pretty good boat chase and an old woman attempting to repeatedly stab people with a shoe. To be a Bond movie these days, there’s a two chase, two fight minimum, and if you’re not going out with a grandstand finish, go back and try again. "It's clever that they put the theme tune on the radio!" 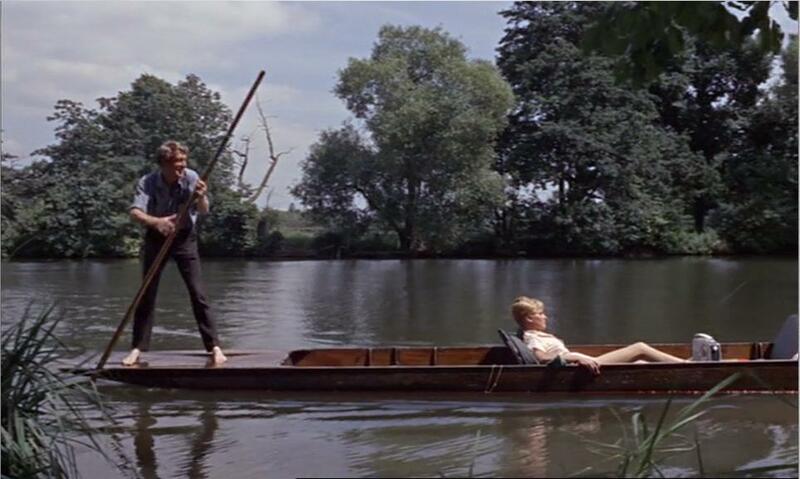 "Shut up and paddle, Cedric." Thankfully mango trees and blind mice are out, and a more established pattern is in. Matt Monro’s warbling of the theme tune crops up in both the main film and over the end titles (it would be one more film before the title song got as far as the opening credits; here we just get an instrumental). We also get the debut of the more upbeat secondary Bond theme, 007, and the still distinctive use of the main Bond theme to accompany Bond tooling round in airport departure lounges and examining hotel rooms. No wonder a second theme was needed. But the feel of the soundtrack overall is undoubtedly much more traditionally Bondy. All right, who's bright idea was light blue text on a mainly white background? This entry was posted in Blogalongabond and tagged Daniella Bianchi, James Bond, Sean Connery, SPECTRE, Will Return.